I have long ago started using only Western Digital hard drives in my computers. This solid state drive works well and was easy to migrate my software to. I recommend WD drives. Great product and reasonably priced for so many GBs--beautifully packaged with instructions and easy to install whether you mount it in your laptop or as an external drive. Speeds up your laptop and you will be pleased. No moving parts so I'm expecting a long life from this solid state drive. Installed and cloned my previous drive (using Clonezilla live iso) and have had no issues with it yet. 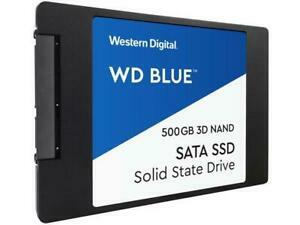 Happy that WD is finally in the SSD business so I can get some cheaper drives for my machines. I put it on my old MacBook Pro. I can see battery improvement and starts up much quicker. Awesome SSD. This is exactly what I needed for my computer. I would recommend Western Digital to anybody.